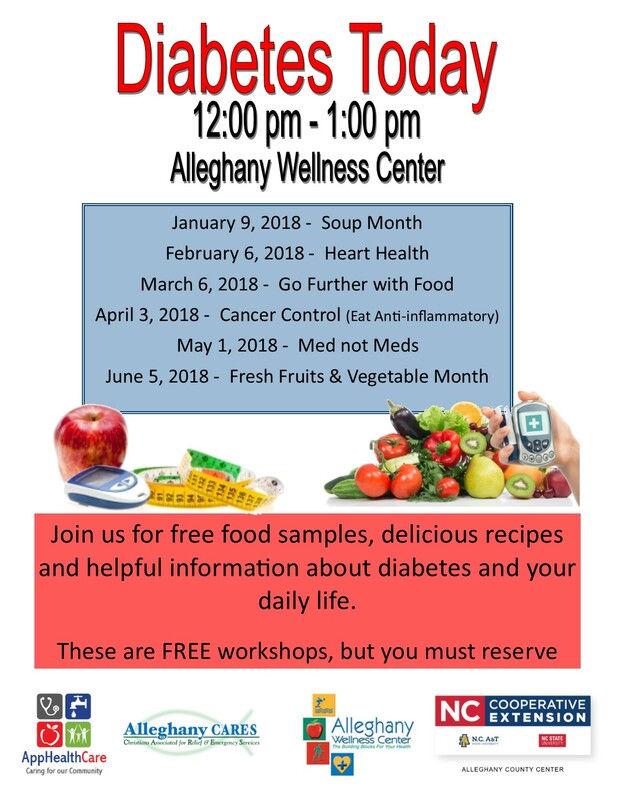 FREE Diabetes Workshop classes held once a month at Alleghany County Wellness Center. Food sampling, recipes, and information on diabetes in your daily life. Reserve your spot today at (336) 372-5597. • Can Grilling Meats Increase Your Risk of Certain Cancers?